Don't queue files that are smaller than xxmb? There is an option in the RSSFeed Scanner. (05-11-2016, 10:43 AM)'RogerTheDodger' Wrote: There is an option in the RSSFeed Scanner. I don't think you can set it for all torrents. 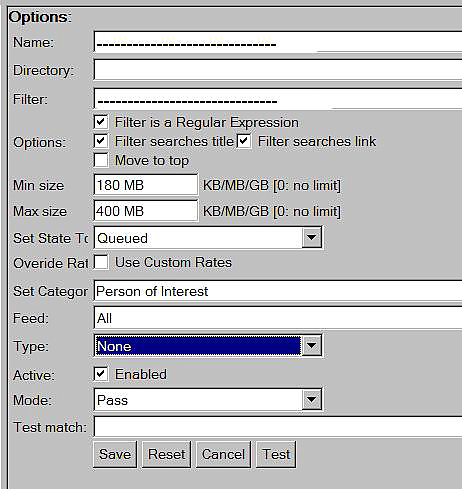 The setting has to be done in the RSSfeed Scanner options for each torrent. Current time: 02-01-2019, 01:28 PM Powered By MyBB, © 2002-2019 MyBB Group.